Welcome to The Queen’s Journal giving page! 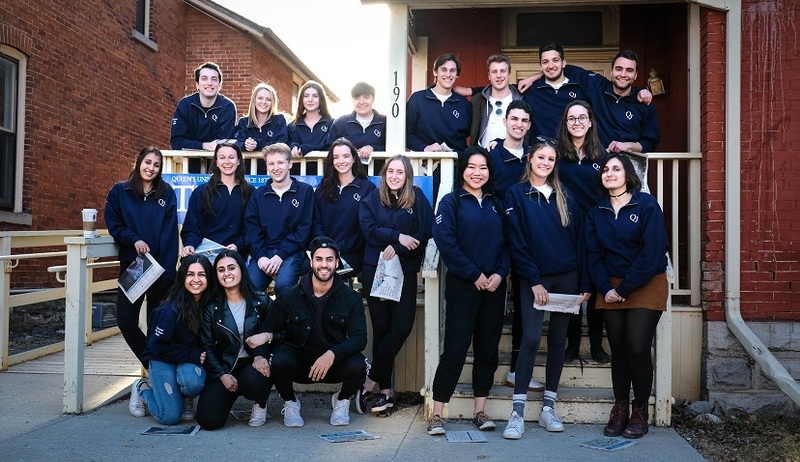 As one of Canada’s oldest continuously publishing student newspaper, we are pleased to offer you a new way to support the next generation of our country’s journalists. Since 1873, The Journal has been providing journalism experience to the dozens of students we employ each year, and the dozens more who contribute. We provide hands-on learning experience for these young reporters to develop their skills in the real world, giving them the tools to contribute to our campus and build their portfolios with high quality content. Our success reappears in every major Canadian media outlet, where our staff go on to enjoy impactful careers using the skills they learned here. Your continued support can allow The Journal to produce another Editor in Chief at The Globe and Mail, an investigative reporter at The Toronto Star, or a national correspondent for The National Post—to name a few. The Queen’s Journal is a proud part of Canada’s media legacy, but wider downturns in print media have left us in need of support—in a time where quality journalism has become more important than ever. Your gift today can help us to adapt to an evolving media landscape, giving you a key role to play in our paper’s story. Please make your gift to The Journal today. Your generosity will support a student journalist’s education; it’s an investment in professional, credible journalism for years to come.